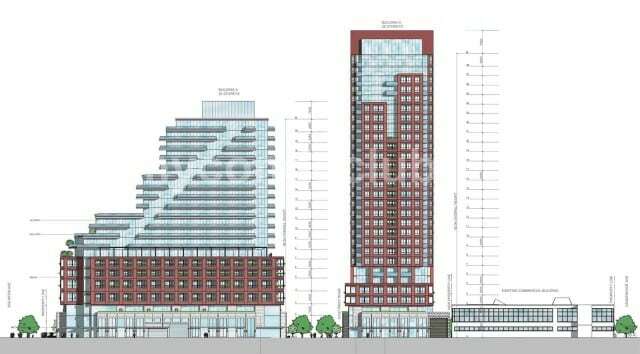 939 Eglinton Avenue East Condos is a new condo development at 939 Eglinton Ave E, East York, ON located at Brentcliffe and Eglinton E. This development will have three condo towers of 28, 20, 16 storey with a total of 985 mixed condo residential units. The tower will feature a hotel residential suite along with lots of public space, residential and retail units and parking spaces. The architect of this project is Page + Steele / IBI Group Architects. 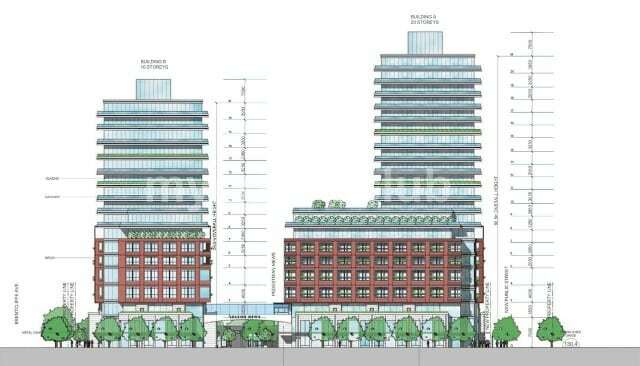 Based in the Thorncliffe Park neighbourhood in Toronto, this condominium site will have two condominium towers which will be built on the north side, while a taller building will be built on the southern side, next to a new public park. A total of 985 residential units are proposed, with 885 vehicular parking spaces included. Additional features include a party room with kitchen, dining room, terrace, yoga studio, bike room, billiards room, fitness centre and WiFi Lounge. This will also include two separate party rooms where residents can entertain their guests. The party room will have a kitchen, multiple seating areas and a central fireplace feature. The dining area in the party room will have bbq barbecue, dining, lounging terrace with spectacular city view. 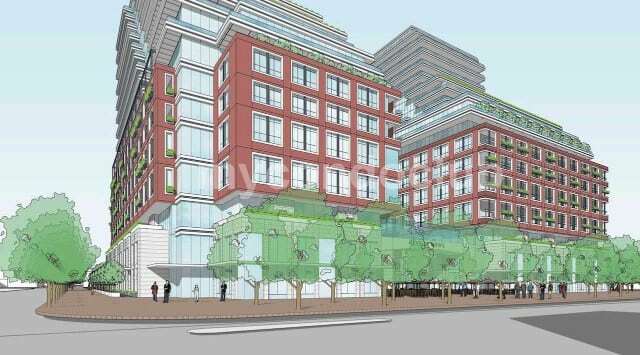 The 939 Eglinton Avenue East Condominium is close to Downtown Toronto, surrounded by large businesses, numerous offices and neighbourhoods like Financial District, Yorkville, St. Lawrence, and Entertainment District. Lots of places to see and visit like Art Gallery of Toronto, Canon Theatre, Air Canada Centre, historic Osgoode Hall, the Hockey Hall of Fame, Maple Leaf Gardens, St. Lawrence Market, the Royal Ontario Museum, Ricoh Coliseum, Rogers Centre, Princess of Wales Theatre, Elgin and Winter Garden Theatres, Harbourfront Centre, and the Royal Alexandra Theatre. Few minutes walk to the SmartCentres Leaside Shopping Mall, Ontario Science Centre and 7 minute drive to the East York Town Centre from 939 Eglinton Avenue East Condominiums. Also, minutes away are the Future LRT stop, Close to the Eglinton Subway, TTC, movie theatres and restaurants, supermarkets, shops in the area so close to the 939 Eglinton Avenue East Condos. Serena Gundy Park, Leonard Lawton Park and Trace Manes Park are some of the parks close to the 939 Eglinton Avenue East Condos in North York.